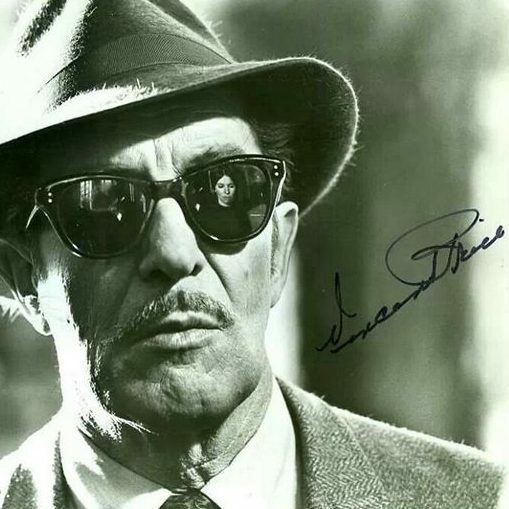 The decade began with Vincent Price fulfilling his Universal contract in three projects of variable quality. Only his voice (still untrained at this stage) is heard in The Invisible Man Returns, he got killed off quickly in the bomb that was Green Hell, and showed off his baritone vocals in the limp melodrama, The House of Seven Gables. 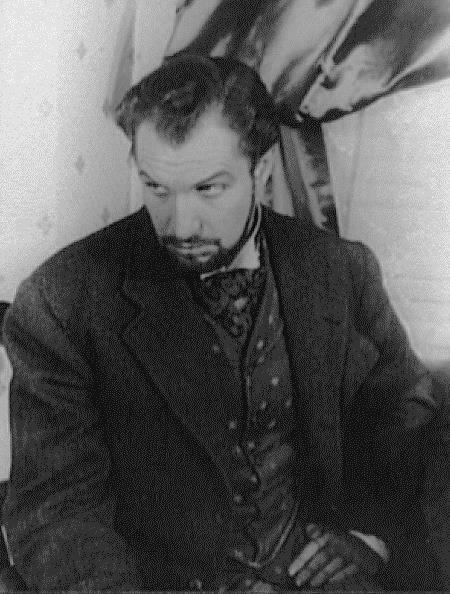 Vincent Price next appeared in a couple of historical dramas for 20th Century Fox: Brigham Young – Frontiersman (as Mormon founder Joseph Smith) and Hudson’s Bay (as King Charles II). But in 1941 he found his niche playing the villain in Patrick Hamilton’s Angel Street on Broadway. With the Second World War waging in Europe and the attack on Pearl Harbour forcing the US into the fray, the psychological melodrama gave audiences a chance to escape reality for a couple of hours and relish Price’s wicked turn as the dastardly Jack Manningtree trying to send his poor wife (Judith Evelyn) mad. So successful was the play that Price played it for the next three years. You can read about the play HERE. in 1943, Price returned to Hollywood to become a prominent supporting player in some of 20th Century Fox’s big epics, including The Song of Bernadette. 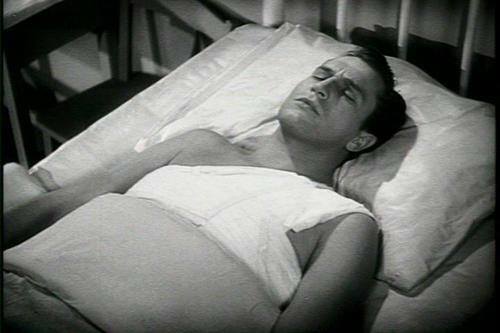 But he really hit his stride in a trio of future classics starring Gene Tienery – Laura (as a caddish gigolo), Dragonwyck (sadistic husband) and Leave Her to Heaven (recalcitrant prosecutor), while on radio he scored a major success, playing the Robin Hood-inspired crime-fighter Simon Templar in The Saint (1947-1951). Price got top billing for the first time in the Aubrey Schenck-produced thriller Shock in 1946, in which he portayed a murderous psychiatrist, and finished the decade dipping his villainous toes in a host of film noir thrillers like The Web and The Bribe. But he also returned to Universal to do a voice cameo in one of their biggest hits, the all-time comedy classic, Abbott and Costello Meet Frankenstein. Vincent’s personal life was also filled with highs and lows. 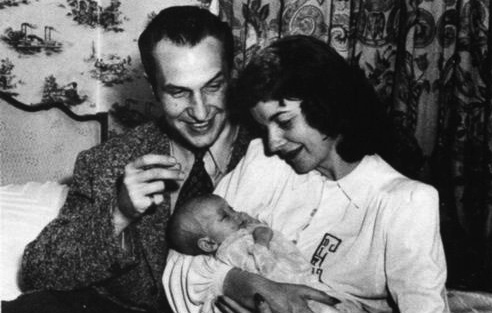 The birth of his son Vincent Barrett Price (30 August 1940) to his actress wife, Edith Barrett was certainly a joyous event. Vincent and Edith were married in 1938 after appearing together in the Mercury Theatre production of The Shoemaker’s Holiday. But they had a difficult relationship and divorced in 1948. However, Vincent also met and fell in love with costume designer Mary Grant (Up in Central Park). They married the following year and would soon become one of Hollywood’s most admired and artistic celebrity partnerships.